I've been playing the piano, almost daily, since I was seven years old. Most every one of those days I've had a dog or two in the room, enjoying the sounds coming from the piano. While my childhood Cocker Spaniel, Doodle, happily snoozed by my side, I enthusiastically practiced for hours daily, and later went on to earn a music degree from The Juilliard School. After graduation, I toured Europe, performed for 18,000 people at a time in China, and enjoyed being the featured piano soloist with notable American Orchestras. While I thought my audience would always be two-leggeds, I didn't yet know how satisfying it would be to perform and record for four-leggeds. That all changed in 2003. I owned a music school in my community and was simultaneously a volunteer puppy raiser for Guide Dogs for the Blind. The puppy I was raising went almost everywhere with me, including a seminar that changed my life. Joshua Leeds, a renowned sound researcher, was teaching a course for teachers and healers on psychoacoustics, the study of how sound affects the human nervous system. While my puppy slept through the seminar, I was on the edge of my seat, eager to learn about sound as a nutrient for the nervous system. As a concert pianist and piano teacher, I knew my work would be greatly affected from what I was learning. I just didn't yet know that it would cause me to change my career focus. I went home and noticed that the rambunctious guide dog puppy-in-training by my side settled instantly when I played psychoacoustically prepared classical music. The specially designed music was calming autistic children in neuro-developmental centers. I wondered if it could also calm the canine nervous system and even relieve canine anxiety issues? After observing my puppy more, I approached Joshua Leeds with this question. We teamed with a veterinary neurologist, who conducted a research study in shelters and home environments. After recording four hours of a variety of classical music and two years of clinical testing, results showed 70 percent of anxiety behaviors were reduced with the psychoacoustically designed classical music, compared to 36 percent of anxiety behaviors with unaltered classical music. The specially designed classical music had a slower tempo, lowered frequencies, and simpler arrangements played on a solo instrument, piano. That research then led to the 2008 release of Through a Dog's Ear, initially a book and one CD. I made the recording in memory of my beloved Golden, Byron, who had recently passed. During the recording sessions, Byron's picture was on the piano while I imagined the simplified arrangements soothing dogs worldwide. We bring dogs into our human environment and expect them to adjust to all of our crazy sounds and sights. Some do, many don't. Humans hear sounds between 20-20,000 Hz. 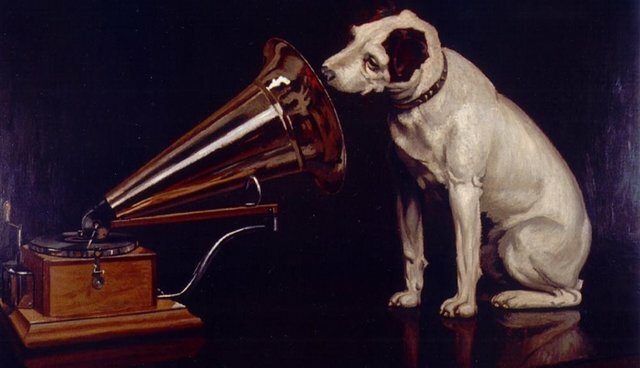 Dogs hear at least twice as high, sometimes all the way up to 55,000 Hz. They are always trying to orient the source of those sounds and determine whether they are safe. 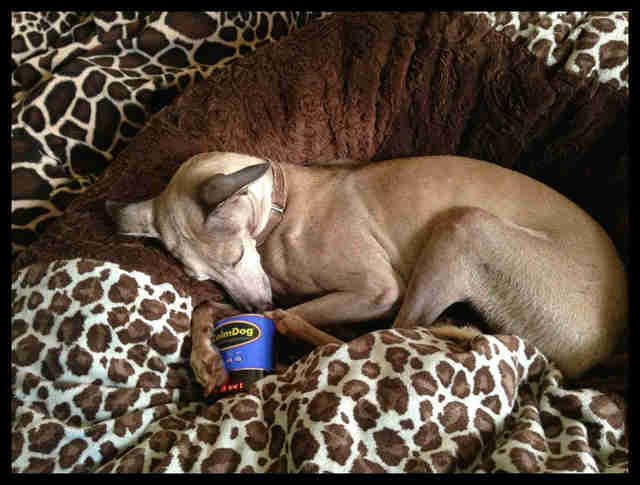 Cyrus, a rescued Italian Greyhound from Hawaii, with an iCalmDog, a Through A Dog's Ear product While I didn't go to Juilliard to get that kind of feedback from a dog, I honestly couldn't imagine anything more satisfying. The simple sounds of Through a Dog's Ear are calming dogs worldwide and helping with anxiety issues well beyond the scope of what was clinically tested. As co-founder of Through a Dog's Ear and the pianist on the music series, it warms my heart that the music is improving the lives of dogs and their people worldwide. It is equally satisfying that people are becoming more sound aware as they witness their dogs react to the music. Sound is a potent energy that is not to be taken for granted. It has profound effects on all species.